(Feb 22): Oil company Saudi Aramco has selected JPMorgan Chase & Co, Morgan Stanley, and HSBC Holdings Plc as lead underwriters for its planned initial public share offering, the Wall Street Journal reported on Tuesday, citing people familiar with the matter. The listing of Aramco is expected to be the world's biggest initial public offering and could raise up to US$100 billion. The IPO is the centrepiece of the Saudi government's ambitious plan, known as Vision 2030, to diversify the economy beyond oil. Saudi authorities are aiming to list up to 5% of the world's largest oil producer on both the Saudi stock exchange in Riyadh, the Tadawul, and on one or more international markets. Saudi Arabian Oil Co, known as Saudi Aramco, was not immediately available for comment. JPMorgan and HSBC declined to comment while Morgan Stanley did not immediately respond to a request for comment. 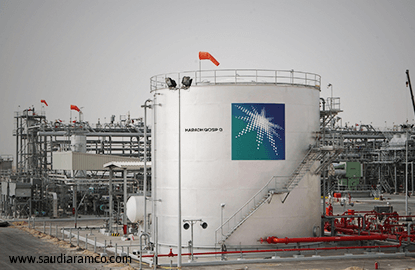 Aramco received proposals from at least six banks for an advisory role on the IPO, sources familiar with the process told Reuters earlier on Tuesday. Local and major international banks including Morgan Stanley, HSBC and Citigroup Inc were among those asked to pitch for an advisory position with Aramco, Saudi-based industry sources said last month. JPMorgan was close to being selected as an underwriter, Reuters reported on Friday, citing a source. Aramco also recently chose boutique investment bank Moelis & Co as an adviser. The IPO plan has been championed by Deputy Crown Prince Mohammed bin Salman, who oversees the country's energy and economic policies. Last year, he said he expected the IPO would value Aramco at a minimum of US$2 trillion, and that the figure might end up being higher. Saudi Arabia is considering two options for the shape of Aramco when it sells shares in the national oil giant next year: either a global industrial conglomerate or a specialised international oil company, industry and banking sources have told Reuters. Saudi Aramco has also appointed international law firm White & Case, which has a long-established relationship with the state oil giant, as legal adviser for its IPO, sources familiar with the matter told Reuters earlier this month. Saudi Arabia is favoring New York to list Saudi Aramco, while also considering London and Toronto, the Wall Street Journal reported on Monday. The oil giant also held discussions with the Singapore Exchange regarding a potential secondary listing, Reuters reported this month.